Another burning building in Carriage Town. Photo courtesy of John Ehlke/The Flint Journal. 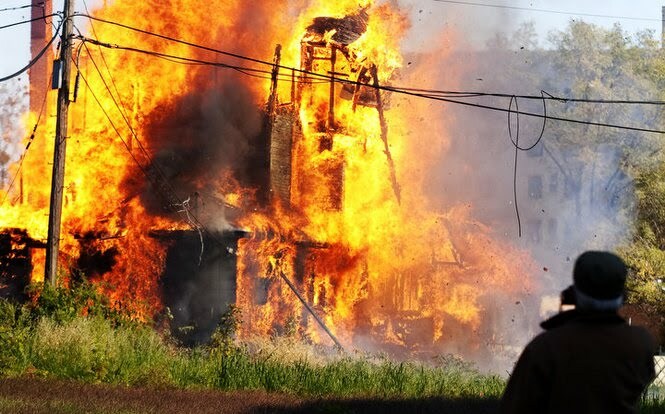 This morning the fully restored Jackson Hardy House at 525 Garland Street in Carriage Town burned to the ground. 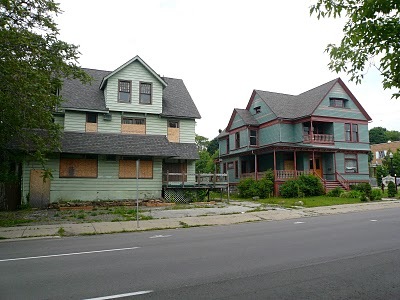 The fire also spread to what has come to be known as the Urban Alternatives House next door at 519 Garland, which was slated for restoration funded by the Genesee County Land Bank and UM-Flint. 519 Garland Street as it looked around 1900. 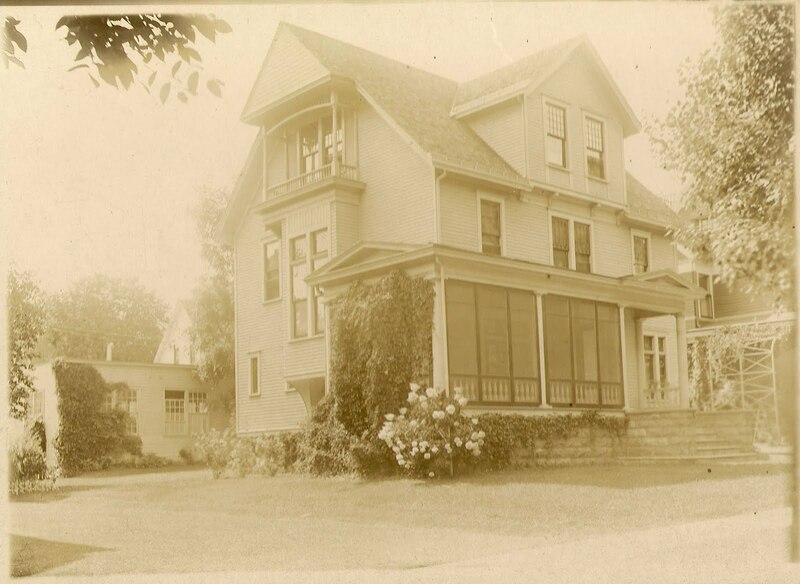 I found this circa 1900 photo of 519 Garland Street in a private collection in Fenton last week. This house is also known as the University of Michigan Flint's "Urban Alternatives House", or UAH. After finding this photo, I walked around the front of the house and noticed some of the aluminum soffit was missing on the southeast corner of the house. When I took a flashlight and peeked in where the aluminum soffit was missing, I discovered that the original porch fascia, soffit and gutters are still there -- they've just been enclosed by the remodeling job! I suspect the original porch balusters and railing are also hiding within the walls of that ugly enclosed porch. The future home of the Urban Alternatives House (left) and the Jackson Hardy House (right). The comments so far on MLive are idiotic, mean, unbelievably ignorant. Would somebody here please share the anguish? This is a horrible moment for Flint's hopes. 300,000.00 is a lot of money. I think someone was pissed off.. Or maybe it was random. In that case. It didn't stand a chance anyway. Rob's referencing this follow up story in the Journal that indicates there may have been $330,000 in funding lined up for the Jackson Hardy House. That figure comes from the president of the Carriage Town neighborhood group and was not confirmed by anyone from the city in the article. Not saying it isn't accurate, but this is one figure that it might be worth verifying with other sources. Regardless, there is no doubt there's a lot of resentment in Flint about the amount of funding that flows to Carriage Town. I hear this sentiment repeatedly when I talk to residents from other neighborhoods. Obviously, no idea if this sentiment is connected to the fire. Finally, Jan, I'm with you on the MLive comments. My first response to news like this is dejection, plain and simple. Yet the comment section is full of nothing but people making their political/ideological points. I don't get it. It does make one wonder when they only got $1,000,000 for the sale of WFUM-TV, which was most likely instigated by feuding between the Flint and Ann Arbor campuses, and yet they were going to put $330,000 into an old house. Both decisions seem wrong to me. The Jackson-Hardy house was another of my "fantasy houses" in Flint. My brother had taken me into this house several times over the years, and I was in awe of how beautiful it was, and would be after rehab. In my secret fantasies, I could have seen living there - so that my children could harass their uncle on a daily basis (who lives behind it). Regardless of one's opinions on the cost of restoration - this is a huge loss to the neighborhood. So many people put time, effort and love into working on that house - many of which were never paid for any of that work...only to have some criminal to use it as a social statement. And, the UM house...another tragic loss for the university and the city. In my opinion, the neighborhoods can bicker about who gets more or what - but in the end, it's the residents of the neighborhood who determine it's success. Carriage Town has just had a bit of a head start in the revitalization arena. With time and effort, the others can too. I'm with you Jan, this is a turning point for me and looking at Flint's future. I didn't grow up in Flint, but moved here from a smaller berg about 10 years ago after finding a house that cost a third of what it would cost anywhere else in the county. Growing up I heard horror stories about the city of Flint. However, after moving here I found that much of what I had heard didn't really line up with what I was seeing in my neighborhood. I was amazed to have sixty or seventy kids come to my house the first year I gave out candy for Halloween and was happy to see kids as young as seven or eight walking past my house by themselves to go to school in the morning. I love the library, the College/Cultural area, the folk music festival at Kearsley Park, Carriage Town and going to the Mott estate whenever they open it up for garden tours. Lately things have changed though. About a year ago I awoke to find a man trying to break into my back door and have since noticed the screens on some of the windows have been moved after returning from work. I've really enjoyed learning more about the great history of Flint and am sickened to see that the Jackson Hardy house was burned down and anyone who cares about Flint and Genesee County should be sick as well. Sadly, I've found that most people don't care. In almost any other city historic structures like this would be cherished and protected but not here. I think this area has some sort of screwed-up defeatist psychological mindset that makes it difficult for me to want to stay. I mean if someone can burn down a house like that then they don't have respect for anything. In no way am i against Carriage Town receiving a lot of investment. I think think it deserves more. I was pointing out the figure to this blog. It should be considered as a source of motive for the perps. Carriage Town is closely connected to the revitalized downtown. It also holds a majority of Flints significant historical structures. 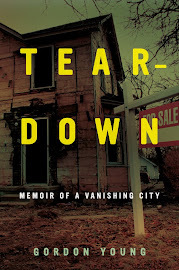 The movement of a city from shame to fame starts at its downtown core and historical structures. All Flint really has right now is it's history. It is the only thing that draws people to be interested in it's resurgence. We want the Universities to succeed as servants to preserving Flint history. It is all absolutely terrible that more and more of this cities history is in ashes. What can be done now? Stop funding Carriage Town? I don't think that sounds like a good idea to me. We might as well all give up then! Really. . I didn't think so.